USPTO Director Andrei Iancu should be given an enormous amount of credit for dealing with the patent eligibility mess at the USPTO in an expeditious and thoughtful manner by releasing this new guidance and putting it immediately into effect. The difficult part now for the USPTO is to make sure that patent examiners properly apply the guidance in a uniform manner. Director Iancu should consider personally holding a video training session for all patent examiners and PTAB judges to signal the importance of this new guidance and create a shared understanding of it at the USPTO. Luckily for the IP community, people like Technology Center Director Hafiz are already in place to help make sure that the new guidance is properly implemented in the parts of the USPTO that most need it. Yet, there is still a risk that examiners don’t form the same appreciation for how the guidance should change their approach as the training filters through different levels of the USPTO. Fortunately, I was able to persuade the examiner to withdraw a Section 101 rejection by explaining the new guidance to him. Although the new guidance has a helpful one-paragraph summary at the beginning, I needed to walk the examiner through many other sections of the 27 pages of the new guidance in order to convincingly describe the new analysis that needs to be performed by examiners regarding Section 101. To make the process of explaining the new guidance to examiners easier in the future, I prepared the flowchart below. This flowchart is based on a previous flowchart that was provided by the USPTO in 2014 after the Alice decision and the new guidance. Hopefully, examiners and practitioners can use this flowchart while the USPTO is finalizing the training materials for the new guidance. But I just cannot get on the bandwagon that the new guidance is any type of panacea. One simply cannot remark that the Common Law that has developed through the courts (unleashed by the Court) has resulted in contradictions and then turn around, NOT take a stand against those contradictions, AND try to envelope all of the case law into your guidance and do so without the very contradictions that you have noted. I “get” the attempt here by Iancu to provide a layered approach with “off-ramps” out of the “Not eligible” state, but there is simply no amount of off-ramps that will correct the Gordian Knot created by the Supreme Court and the ensuing Common Law law writing of the statutory law that is patent law of eligibility. For that, we need something else. Elsewise, we need a combination of Congress taking back its authority, resetting the proper tone of 101 being an open welcoming gate, removing the policy-setting Supreme Court from the picture with the Constitutionally-allotted power of jurisdiction stripping of the non-original jurisdiction of patent appeals from the Supreme Court and a resetting of a lower Article III specialty court (the current one has become simply too tainted to meet its original objective). Hopefully, the director will land at the CAFC. When an examiner alleges that “an input”, “an output” and “a circuit” can all be construed as “software per se” and does not embody any hardware, we really don’t need any New Guidance. Some common engineering sense and technical review would be sufficient. Do Examiners even read what they write? And this is getting worse, not better. The USPTO needs a drastic quality shake-up, from top to bottom. Any Examiner, Quality Reviewer,TC Director and SPE who lets this pass is complicit in the ongoing destruction of our patent system. I agree with Anon (although I don’t think other newcomers to this blog will understand the use of jargon without further explanation, e.g. “Kavanaugh Scissors” etc). To support the new guidance without expressing one’s disapproval of the Courts’ judicial activism to Congress simply leaves us in the same predicament. accordingly, SCOTUS’s judicial exceptions to the § 101 statute do not have authority and do not apply. Further, remind the examiner/APJ that s/he has a duty to support and defend, not the Supreme Court, but THE CONSTITUTION. Your argument is a Constitutional one, not one that looks to SCOTUS for guidance (because that’s where the problem lies). This same argument should be used in the courts and the PTAB. And everyone should write AND MEET WITH your representatives expressing the same. Tell them that the Courts have been repeatedly taking away their power, and bring them new legislation that specifically strips them of this ability and is EXPRESSED IN THE STATUTE. Anon, care to draft a clause and post it for the rest of us, so people won’t arrive empty handed? statutory construction. That SCOTUS has developed common law, saying “A not B”, shows inconsistency with both Constitution and U.S. statute. Thus, SCOTUS’s application of 35 USC 101 is unconstitutional, or any law writing from the bench. Congress said what it meant, and so did the founders. I find myself in agreement with you yet again. And yes, I recognize that the “Kavanaugh Scissors” remark will draw questions to the minds of those that have not been following along, but I posit that your own reference to the Knowles article suffices to inform in regards to the term that I coined (see comments 42 and 45 on that thread, which of course, as reflected in comment 2 of that thread links to an earlier discussion in which I lay out how the remarks of Justice Kavanaugh in the California Tax Franchise Board v. Hyatt oral arguments which provides teeth and a way to amplify the Schein case directly beyond the limited fact pattern of that Schein case. …for the Kavanaugh Scissors comment, posts 11 and 16 (there was also a thread in that timeframe in which I posted a direct link to the Scotusblog writeup of the Hyatt case for the direct words of Justice Kavanaugh). ..for the draft of a clause, I recommend the same link, posts 20 and 27 (and in a minor addition, post 37). For the clause, what you seem to suggest may follow from what Night Writer was doing when he fell back on describing what he viewed as “the answer” that the Court may cling to. He provided a single “plank” to which he thought that the Court would anchor their authority to. Posts 20 and 27 provide a richly detailed reply answering that “single plank” with three rebuttals. A clause addressing what could be foreseen as the “attack mode” could be effectively negated with a preemptory explication based on one or more of the detailed arguments there. Fourdrinier machine? Do you think Examiners or 99% of patent practioner’s know what that is? Then why include it since not helpful. Other issues, but an excellent first crack at a flowchart. Any 101-rejects — by any body / source — are going to be receiving just such “everything AND the kitchen sink” rebuttals / traversals. This innovation blocking & stealing 101 baloney has got to stop. What would add great utility to the presentation would be to invite the Federal Circuit judges without technical or patent training so that they might gain insight into what they are doing. Judge Reyna is a particular instance of a member of the court who could benefit, but readers will be aware that there are many others. Thanks Obama. It is unfathomable that Obama would appoint judges that fit this description to the CAFC. “Enumerated Groupings: 2- Certain methods of organizing human activity” – That is a huge grey area, virtually any system of data classification or sequencing can fall into that definition. Director Iancu: Crack the Whip! Enforce your own policies and reprimand and fire unwilling or incompetent Examiners and managers. The USPTO is due for a major clean-up and re-engineering. When Examiners feel more comfortable citing case law than using valid technical arguments something is clearly not right in patent land. The whole of our patent system was designed and implemented (a long time ago) to stimulate the development and spreading (absorption, diffusion) of new practical applications into broader society. This was an element of the Enlightenment and a fundamental cause of the first Industrial Revolution and all the following ones. For Director Iancu to say that a “practical application” should be patent eligible is pretty much in line what the fundamental purpose is/was/should be of the patent system. That we have discussions about enforceability of that very basic principle due to SCOTUS only demonstrates how far the Courts have removed us from original intent and common sense. Practical applications should be patent eligible: it is the “raison d’etre” of the patent system. It is common sense. Director Iancu you are right. Now enforce it in your organization. My 2 cents… It is my understanding that the public message being delivered by Director Iancu is being received loud and clear by patent examiners, SPEs and TC Directors. In fact, I’ve heard from examiners that what the Director is saying publicly is being pounded into their heads over and over. That being said, I think your recommendation that Director Iancu do a video training session that can be shared with patent examiners is an excellent idea. What better way to let examiners know of the importance of these initiatives and that they are not just political talking points. While I think that message is getting through loud and clear the time to spend going over the memos and guidance certainly wouldn’t hurt. Let’s play a game: provide a patent eligible item and I will make it fit into something than can be used to organize human behavior. As I have noted, the attempt by the Office to provide a rationale mechanism necessarily fails when that mechanism does not take a stand against the very source of contradictions for the contradictions that are directly said to exist. I’m getting somewhat different feedback at the SPE level. In any event, this is a big change and it may take a while for it to have a visible impact. As with all things patent, patience is a virtue. As I commented in another thread, every office action before the 2019 Revised Guidance necessarily does not comply with current policy. Phoning examiners to ask that they issue another office action is not working. I’m finding examiners will not rescind any office action made pre-2019 Revised Guidance, even though they know the rejection is necessarily based on now superseded guidance and will eventually have to be redone. One of the rules in a bureaucracy is the Rule of Inertia: wait out applying new policies of new management as newer rules and newer management may follow. Or in more popular terms: say ‘yes’ and do ‘no’ or as little as possible. The not unreasonable expectation being that with newer rules previous rule changes may be more or less forgotten. Only the rules the bureaucracy likes (like Alice) get quick action. If you don’t believe it, listen to the interview with Tariq Hafiz. An excellent bureaucrat, in a positive sense really. Lots of training, powerpoint slides, meetings, discussions. Not a word about enforcement. Don’t rock the boat. As Tariq says: there is not much effect of a Memo as we continue doing our work. They are still digesting the Berkheimer memo (remember Berkheimer ? ), which is now pushed to the background by the New Guidance. 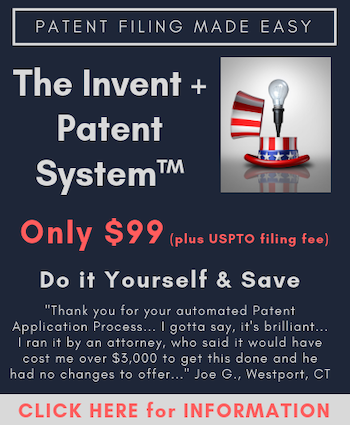 The New Guidance is a gift to Inventors who still believe in the patent system. Don’t let it fade away in potential bureaucratic chicanery. Most Examiners appear to love Alice. I have not seen so many Alice rejections in technical inventions as recently. So patience in this case may not be a virtue. Push back if ignored. The impact should be now, not later. I would like to see the USPTO report how the New Guidance affects prosecution. For an organization that prides itself on measuring every burp and cough during patent prosecution, measuring the effect of the Memo should be straightforward. I still would be careful in keeping applications alive after Allowance, because most likely opponents will be trying to sink the Memo in Court. However, at that stage, if enough inventors are involved, Congress may finally feel the need to interfere and do its job. If not, it is likely game over anyway for many of us independent inventors. Patience is NOT a virtue when it is really capitulation. As Ternary points out (in different terms), no one should be taking a “do not enforce” mindset. And yes, there IS resistance that MUST be overcome – and in some cases, there will surely be fights and expenses that should not have to have been made and spent. But the Office is not the only political creature that offends the Rule of Law, and in fact, in the area of 35 USC 101, it is not even the most major offender. Yes, that most major offender would be the Supreme Court itself. Following the March 2014 Interim Guidance on Patent Subject-Matter Eligibility there was a seminar held if my memory serves in April 2015. Speakers included USPTO representatives and members of the profession. Comments were not only permitted but actively requested and if my memory serves there were 60-80 submissions both from within the US and from practitioners in other countries, many of them of high quality. What would be useful here is a repetition of that seminar covering both software/business method applications and life sciences applications which are the main problem areas. The only innovation, which I strongly urge, would be to invite the judges from the Federal Circuit to participate. Before we follow Anon and whinge about the problems we face, it is worth studying the law as set out by the Supreme Court in an endeavour to find the correct non-partisan and not gold-plating interpretation and ensure that the existing law is being applied CORRECTLY. I should have said April 2014, not 2015. Apologies for the typo. With all due respect, I put it that you do not complain enough and instead become part of the problem in your rather odd penchant for not wanting to place blame where blame belongs. As an outsider to the US Sovereign’s system of government, perhaps you just do not understand that all three branches are subservient to the Constitution and that each branch is purposefully a branch of limited powers. The persistence that I display in correcting mistaken views such as yours is a feature — not a bug. You being peeved or irritated is a YOU problem. Maybe if you integrated the lessons that I present instead of retreating to your “the Emperor’s clothes are so resplendent,” you would reassess the adjective that you use to describe my rightful indignation at a particular portion of our government. The public message should include the scientific fact that processing information is a physical process. Processing information takes time, energy, and space. And—structure to perform the processing. The fact is that the conservation of information is perhaps the most important law of physics. At the core of most of the problems of 101 is the denial of basic physics. Plus–you cannot process information without structure. Computers can’t just drive a car or diagnose cancer without additional structure. Just unbelievable that the judges on the CAFC are appointed with no science training. Patent values have close to zero value, thanks in no part to Silicon Valley that have squashed small patent holders from getting paid, with the introduction of the AIA Act, and the PTAB that was lobbied in by companies like Google Apple and Amazon in order to avoid paying out patent licensing costs. We need to see the U.S. not just fix PTAB and 101 but educate the judges in all the diff branches and bring patent value up in value. Its funny to see the hypocrisy the top American companies are showing with the current fight over Huawei CRYING that China is infringing their IPs. The U.S. needs to take care of the small patent holders and make sure they are getting paid and not getting ripped off by companies like Apple, MS, Google and Amazon. Maybe its time Companies in China come in and give the small patent holder a life line and merge with a NPE or buy out IPs in the U.S. America can not have it both ways. Bottom line is Patent holders in the United States need to get paid and if its not going to be from an American company, then why not from foreign entities. Its been 10 years that they have killed patents in America, its time IPO holders get paid. The Director has done what he could. He need to fix human problems. A final solution lie in Congress and the U.S. Supreme Court. The whole 101 should never be the business of court. I am recently sending a master letter to the President, the House Speaker, Senator majority leaders, Presidential runners, etc. to prove how the U.S. patent doctrines on 101, FDA drug approval protocols, and professional laws have created a perfect medical environment, where the only legalized cures are cutting, burning, and poisoning. None of them can cure chronic disease and cancer. All cures that built in human genes WERE excluded by the legal system. Obsolete patent law doctrines and FD&C act are directly and indirectly responsible for about 30 millions of premature deaths in the world each year, and 0.7 cumulative probability of premature death for each person in the world. They are also responsible for 600,000 cancer deaths in the U.S.. I estimate that among 1000 lawmakers at least 700 will die from the incurable diseases that the legal system has created. It harms every person. If we do not get rid of those cracks that can be traced to their origins of a thousand years old, death hoaxes can get anyone in this world. No one can live a predictable life. We have to keep checking for cancer and diseases all the time…. Former chief justice Rehnquist, former Senator McCain, former Apple CEO Steve Jobs, etc. died from cancer. When they had chances to do something to fix the medical foundation, they did not. Now, more is added to the death list each year. I ask everyone to bring my message to each of the Supreme Court Justices, Federal Circuit Court Judges, lawmakers, and presidential runners. Most of them lack any science knowledge with no scientific wisdom. They kept chanting that the Sun is orbiting around the Earth by following the teachings of a thousand years old. Their inaction will keep the world without cure. After those patent law cracks are trashed, “incurable” will be deleted from medical vocabulary in five years, and all diseases can be cured in predictable ways in ten years. Shocks, emotional pains, and worries should be forgotten. It is not too much to expect medical performance that ancient people once enjoyed in the Han and Tang dynasties. Interesting way to look at it. Try to find something they care about beyond their ego and dollars put in their pocket.